Blood from the horseshoe crab. It all began with the humble horseshoe crab. In the 1960s, a scientist working for the summer at the Marine Biological Laboratory in Woods Hole discovered that horseshoe crab blood clotted when exposed to marine bacteria. About a decade later, Stanley Watson, working down the street at the Woods Hole Oceanographic Institution, figured out a way of using this bizarre characteristic to test for disease-causing pathogens in medicines. In 1974 he started Associates of Cape Cod — based in East Falmouth — to harvest the blood and create tests for pharmaceutical companies. Today, horseshoe crab blood is big business. 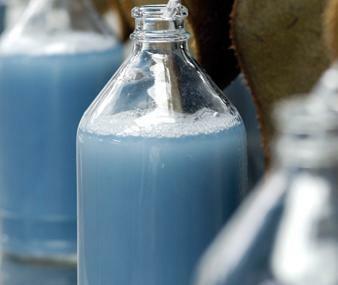 One quart of the light-blue liquid costs $15,000, and the industry generates an estimated $50 million annually in the United States. Associates of Cape Cod remains one of the leaders in this field, and currently employs 150 people worldwide, with most working on the Cape. Scientific research can lead to real economic growth, and for a place like Cape Cod — which is home to a number of independent research institutions but struggles to create year-round jobs — encouraging the growth of this sector can lead to big payoffs. This is one reason why the recently announced partnership between the Marine Biological Laboratory and the University of Chicago is so promising. According to the Cape Cod Chamber of Commerce, tourism accounts for 43 percent of all jobs in Barnstable County, which covers the Cape. The second largest sector is retirement care, which accounts for 15 percent of local jobs. In contrast, the research sector and all related industries only employ 1,277 people, or a little over 1 percent of the working population of Barnstable County. However, with 73 research labs spread across the Cape, there is a real potential for the region’s marine-science sector to generate significant growth, especially if private funding helps to fill the gaps left by government cuts to scientific research. Joan V. Ruderman, president of the Marine Biological Laboratory, said the University of Chicago was particularly interested in the partnership to gain access to marine organisms for biomedical research. The influx of cash and personnel that this deal represents will be a boon for research on the Cape, and history has shown that economic growth often follows scientific breakthroughs. Correction: An earlier version of this editorial incorrectly described the operating calendar at the Marine Biological Laboratory in Woods Hole. The number of researchers and students surges during the summer, but the lab is a year-round institution.